The National Association of Sports Officials (NASO) presents a variety of resources to help sports officials. Those resources include information on financial matters for income tax purposes, information on laws aimed at protecting sports officials from abuse, information to help officials hone their skills, links to athletic associations and confererences in the U.S. and Canada, and additional helpful information for sports officials and on sports offociating. Those resources can be accessed via the pages in the menu on the left side of this page. 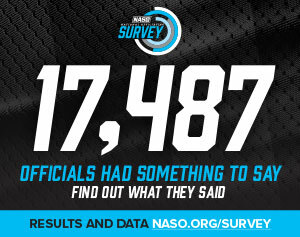 NASO is the premier resource for sports officials, umpires and referees at all levels of all sports. If you do not find the sports officiating resources you need on this website, contact us at 800-733-6100. 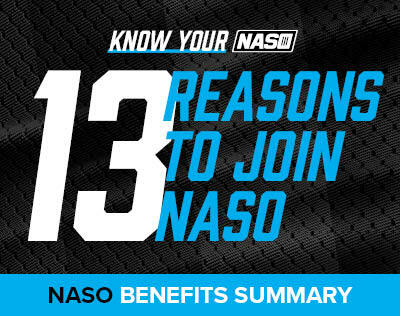 NASO’s mission is to serve as the leading source of officiating information, programs and services.